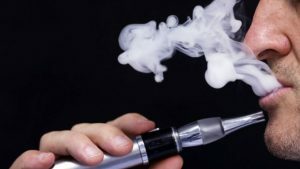 One of the mistakes people make when they enter into vaping is going for the cheapest vaping setup. This is not to say it is a bad idea entirely, but you have to understand this is what will determine your experience while vaping. You need to choose a kit with the highest quality standards possible. You might assume that using $100 to buy a decent kit is a lot, but getting anything cheap could mean you will have to put up with a low-end clearomizer that will not satisfy your expectations. So, make sure to invest in a good kit for a start and your journey as a vaper will be enjoyable. For experienced vapers, sub-ohming is common and enjoyable. However, as a beginner, it might not end well. This is a perfect way to vape that includes enormous airflow and big volumes of vapor using organic coils that deliver a mouth-watering flavor. There are reasons this might not work if you are a beginner, especially if you are switching from smoking. One, this comes with too much clouds and the vapor is overwhelmingly dense, so you can get a choking cough. This occurs because the body is not used to the vapor and inhaling a lot of it could choke you. It requires some time to learn and get accustomed to the practice. You don’t just buy e-liquids before you understand about them. There is more to choosing an e-liquid that you have to understand to understand that will help you enjoy a seamless experience. If you never knew this, it is recommended you shake the e-liquid before you use it. This ensures the VG/PG and nicotine mix thoroughly so you are able to get a quality vape. Also ensure to keep your e-liquids away from direct sunlight because sunlight decreases the intensity of nicotine, which essentially means your e-liquid is rendered less effective. To keep the flavor intact, never leave the bottle open for prolonged periods of time. Don’t leave it open for 20 minutes as this will just leave you with a flavorless e-liquid. In your accessories, the batteries form the most important piece of your puzzle to vaping. This applies to all levels, whether the starters pack or a $250 box mod. All starter batteries give you a color code appended in the button that instructs you about the life of the battery. From this information, you should know what duration the battery can serve you optimally before it starts to die out. The rule of the thumb is to never allow the battery to reach the point where it goes dead. Make sure to connect the charger before this happens. After the battery charges to its maximum level, you should disconnect the charger as leaving it to continue charging might damage the battery. People using advanced mods with 26650 batteries have other concerns they should be aware of. If this is your case, make sure the battery is not overtasked. It should never get hot as this is an indication you are doing something wrong that could damage the battery severely if not checked on time. As a commandment of vaping, it is necessary that you consider having all the supplies required in stock. Just never allow them to get depleted. Make sure you always have a charged battery, the right e-liquid, and coils. These are the most fundamental items in vaping and you will be surprised they are readily accessible, and in case you run out of them and you previously were a smoker, you risk going back to smoking. You can learn more from this review and comparison of box mods. Many beginners don’t know how to pick the right e-liquid for their pens. The e-liquid is the soul of your vaping setup, so you have to get this right, otherwise you would find it dissatisfying. The first thing you should consider is flavor. This is what will determine if you will be enjoying the experiences, regardless of the fact your e-liquid might have all other elements in perfect proportions, failure to have the best flavor might mean you will not enjoy the experience. The beauty is that e-liquids are available in many flavors including tobacco blends, food, fruity, and cocktails. To get the flavors available, it is advisable to explore the different e-liquids available to know which best serves your needs. After flavor, the next thing to consider is nicotine strength. Nicotine levels are available in different strengths. The low strength levels include 6mg and below, which is ideal for smokers who consume at most half a pack every day. There is the medium strength category that includes 9mg to 16 mg. Lastly, you could choose the high strength nicotine content, which ranges between 18mg and 36mg – this is ideal for heavy smokers. Vegetable Glycol (VG) and Propylene Glycol (PG) are the most important flavoring elements you should consider. PG gives you more flavor but its vapor is weaker. On the other hand, VG is slightly sweeter and more viscous, thereby muting flavor slightly, but the advantage is that this produces big clouds of vapor. Vaping gives you a better experience than smoking and is also a healthier option. You need to choose your liquids well and also understand maintenance requirements of your accessories. If you are a beginner looking for a guideline into vaping, the ideas shared above are a good way to start. The post Vaping Tips For Beginners appeared first on Smoking With Style.